Need a reliable recycling service in London and the South East? We can help! 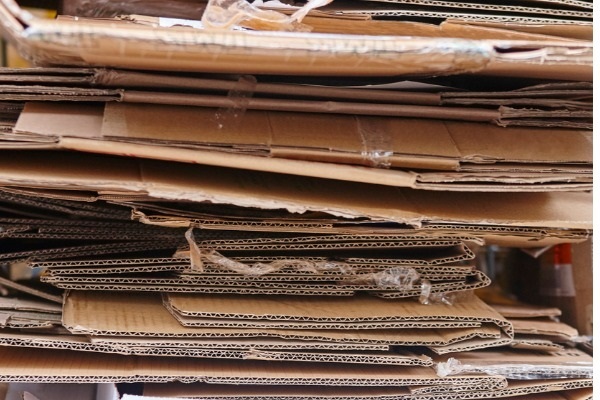 Is your company or worksite struggling to deal with cardboard and paper waste? We have an eco-friendly and affordable solution! It's our mission to keep recyclable waste out of landfill sites. One of the ways we do this is to offer one-off, weekly, fortnightly or monthly cardboard and waste paper collections. Use our bins – ranging from 240-litre wheeled bins to 1100-litre trade bins - to dispose of your waste. We'll then collect the bins as part of our scheduled cardboard and paper recycling collection round. 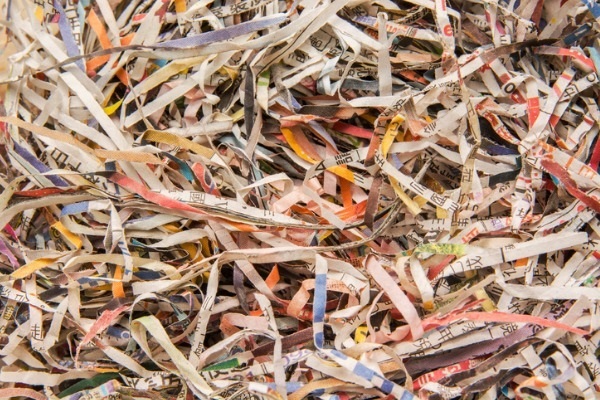 We can also collect baled cardboard and shredded paper direct from your premises for delivery to a recycling site. Alternatively, you could take advantage of our skip bag hire for the collection of waste paper and cardboard. Simply buy a bag direct from us, fill it with your mixed paper and cardboard, then call us when it's full. We will then collect at a time that's convenient for you. If you have too much waste to fit into our bins or skip bags, we can collect larger loads in one of our vans or lorries. 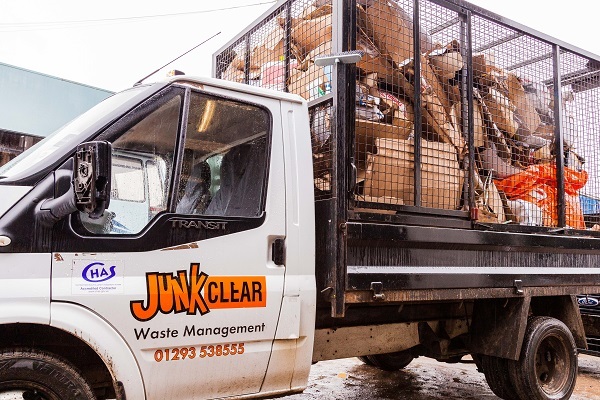 Call Junk Clear now for more information on our competitive rates and efficient service. We guarantee an expert cardboard and paper collection service in central London and all areas around the M25 including Surrey, West Sussex, East Sussex, Kent, Hampshire, Berkshire and Essex. Waste paper recycling is just one of our many services for customers across the South East. Call JunkClear today to find out more! Q1 Do you offer an out of hours service? Yes, we can respond 24/7 if emergency paper or cardboard collection is required. We work during Christmas and holiday periods, and can offer extra collections at your busiest times. Q2 What areas do you cover? Our waste management experts cover London and the South East, and further afield for bigger projects. We work in towns, cities, villages and rural areas to ensure your rubbish is removed quickly and with the minimum of hassle. Q3 What payment methods do you accept? Debit card, credit card or BACS is preferred.